Getting a grip is kind of essential. Whether it be in your career, personal life, or on the motorbike, control of your destination relies heavily on your ability to effectively navigate the terrain around you. If you are slipping around all over the place, you won’t get anywhere worth going. 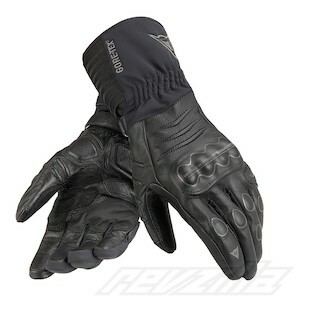 The new Dainese Ergotour GTX-Xtrafit Gloves are a cowhide/goatskin combination glove for the touring or commuter crowd. As the name would suggest, the glove also employs the GORE-TEX membrane for the the most waterproof, breathable option on the market. You will not get wet with their 100 percent waterproof guarantee, and if you do, they will fix it for the lifetime of the gloves. With micro elastication down the back of the thumb, top of the hand, and soft inserts at the landing zones with pre-curved fingers, comfort is the key with these gloves as they provide you a solid option for long hours through a variety of climatic conditions. If you are in the touring/commuter crowd and looking to rock a comfortable, Gore-Tex glove from one of the best manufacturers on the planet, check out the new Ergotour GTX X-trafit Gloves from Dainese.